PresidentDonald Trump’s personal pilot is reportedly one of several people under consideration to lead the Federal Aviation Administration. Axios was the first to report that John Dunkin, who has worked for Trump since before he became president, was ona shortlist to lead the FAA. A White House official laterconfirmed to The Washington Postthat Dunkin was under consideration. The FAA regulates all civil aviation in the U.S. and has an annual budget ofmore than $16 billion. “I have a pilot who’s a real expert,” Trump said. Dunkin was brought in for a preliminary conversation about the role. Several other people have also been interviewed, including Rep. Sam Graves (R-Mo.) andDan Elwell, who has served as acting administrator of the agency since January. 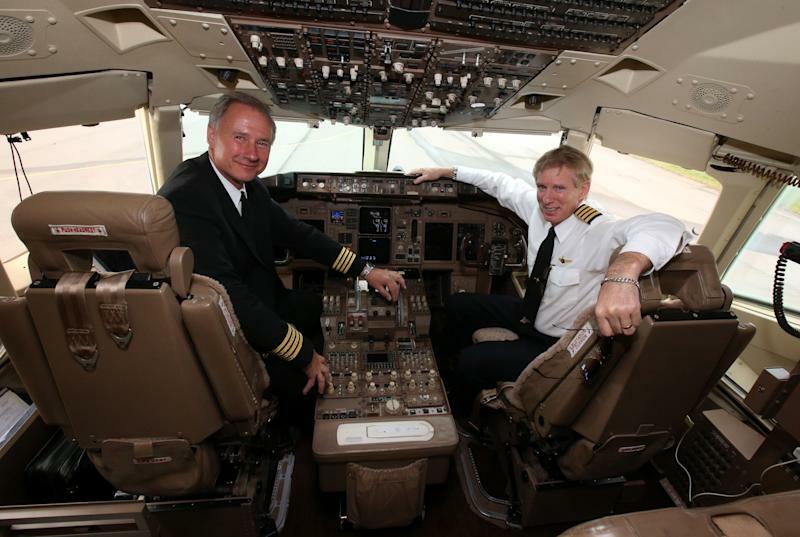 President Donald Trump's personal pilot, John Dunkin (left), is reportedly under consideration to lead the FAA.